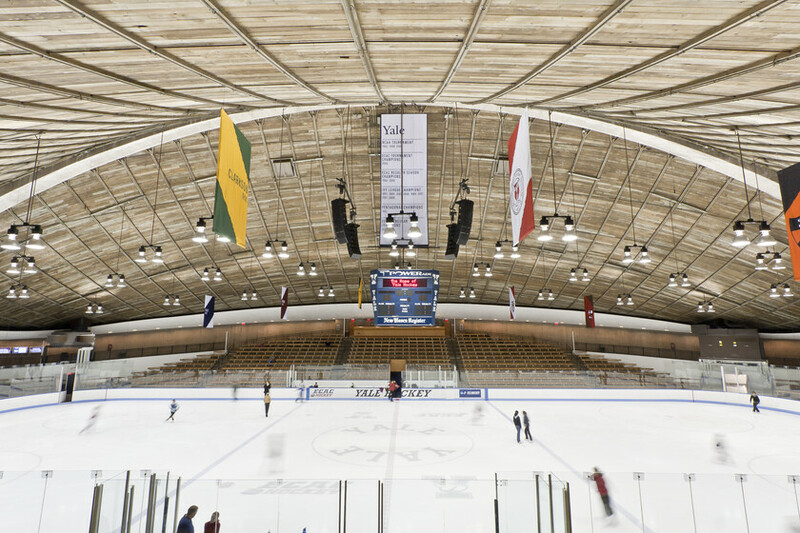 The restoration of this iconic building and its fitness center addition needed lighting that would respect the architectural form, enhance the visual experience for spectators, increase rink lighting to meet NCAA standards, and meet Yale’s expectations for sustainability and energy efficiency. 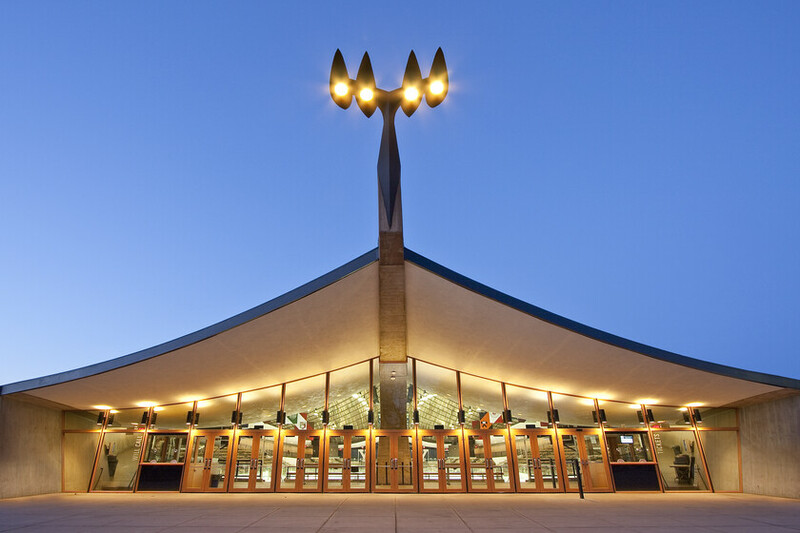 Affectionately known as “The Whale” for its dramatically curved roofline, Yale’s modernist Ingalls Rink was restored and augmented with new varsity locker rooms and a fitness center in 2009 by architect Kevin Roche, who was on Eero Saarinen’s original design team. 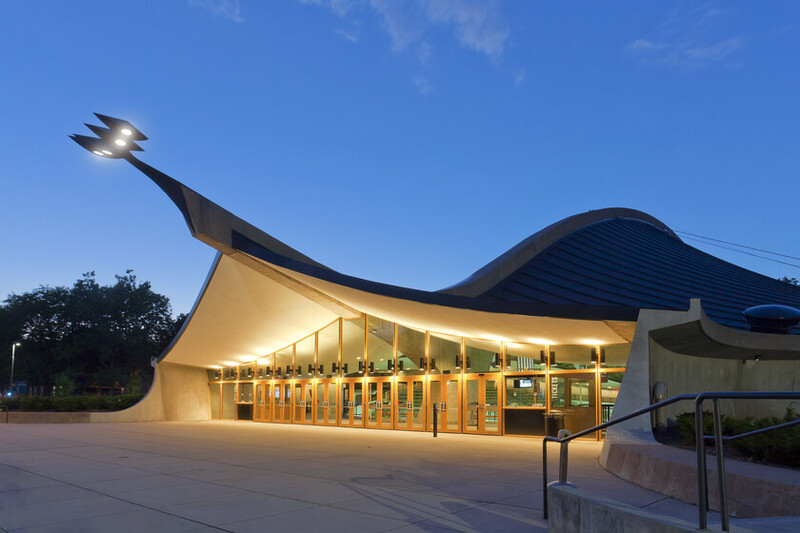 The replacement of the plaster soffit above the concourse provided an opportunity for Atelier Ten to introduce perimeter wallwashing to softly illuminate the concrete walls. 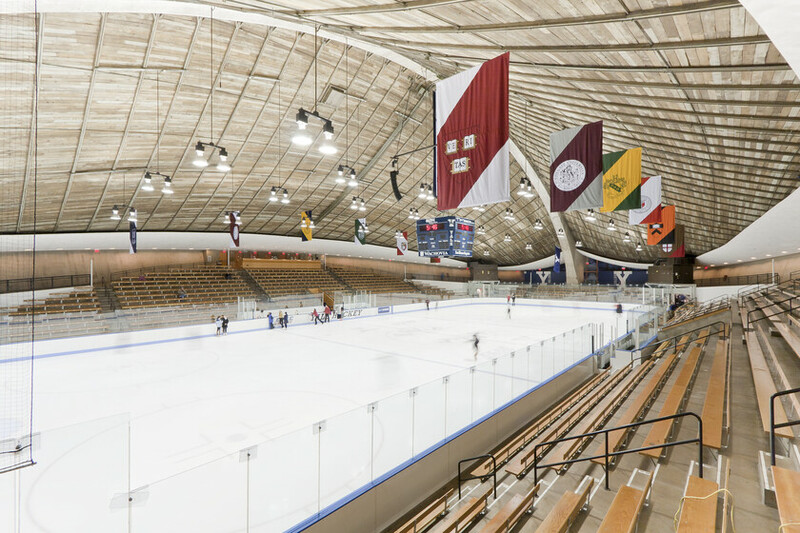 Rink lighting was changed from aging 1000W standard metal halide floods to dimmable 400W pulse-start metal halides that increase light levels while saving energy and improving color rendering. 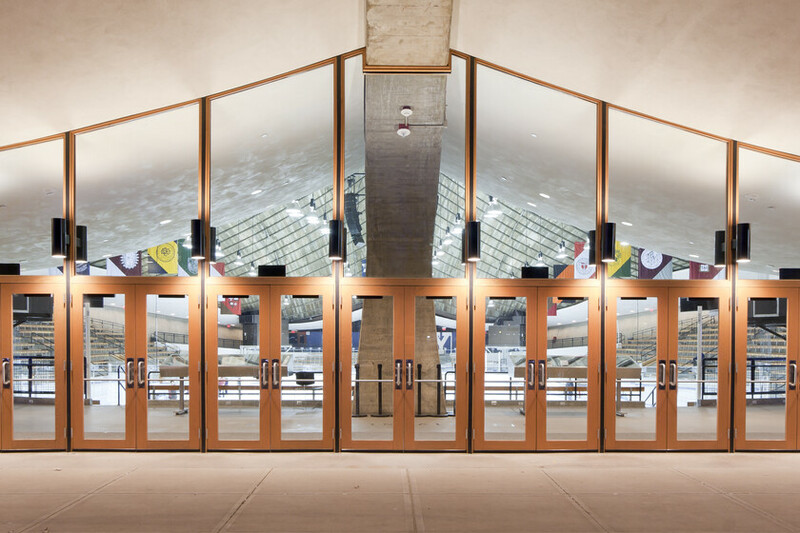 Below the concourse, the redesigned Schley Room and the new fitness facilities are lighted with fluorescent and compact fluorescent luminaires to provide a high quality visual experience as well as exceptional energy efficiency.